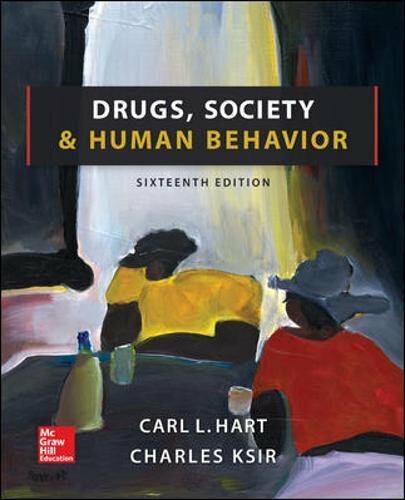 78028647 – Drugs, Society, and Human Behavior by Carl L Hart Dr.
78028647 –Drugs, Society and Human Behavior provides the latest information on drug use and its effects on society as well as on the individual. Trusted for more than 40 years by both instructors and students, this authoritative resource examines drugs and drug use from a variety of perspectives―behavioral, pharmacological, historical, social, legal, and clinical. The 16th edition includes the very latest information and statistics and many new timely topics and issues have been added that are sure to pique students’ interest and stimulate class discussion. Author: Carl L Hart Dr.